All the speed is back and even faster. 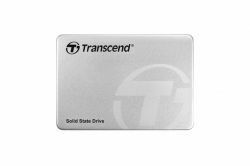 Transcend's SSD370 SATA III 6G/s SSD boasts incredibly fast transfer speeds, large capacities of up to 1TB, a compact and lightweight design, shock and vibration resistance, and supports DevSleep mode. That means you can enjoy a seamless, lag-free computing experience even when using your notebook on an extended journey.